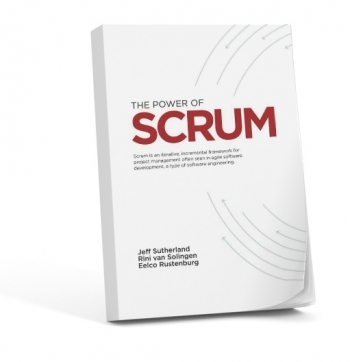 The IAPM International Association of Project Managers is delighted to inform you that the book, ‘The Power of Scrum’, has been selected for the "Book of the Year" award. The IAPM’s objective is to promote the development and encourage the widespread use of both traditional and agile project management practices. At irregular intervals, the IAPM presents the "Book of the Year" award to authors who have published books on the subject of project management that are noteworthy for their innovative style of writing, forward-looking views and theories, high practical relevance or excellent user friendliness. The book "The Power of Scrum" combines novel-like elements with well-researched, concise facts, providing a broad readership with an excellent introduction to agile project management. It is suitable for both project management novices and experienced agile project managers who are looking for inspiration. "The Power of Scrum" stands out from the plethora of project management publications as a result of its humour, intelligence and competence. It explains the basic ideas and principles of agile project management and provides the reader with plenty of useful information. It encourages the reader to attempt an agile project, but also makes no secret of potential stumbling stones. Agile project management is more than just a transient trend. It brings the problems associated with rigid structures to light and reveals opportunities for greater flexibility - without the need to sacrifice the supporting framework. The book uses amusing anecdotes to show the reader the real differences between traditional and agile project management and illustrates how a complex development project can veer off course when there is no clear specification at the outset. 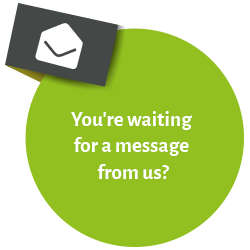 It effectively illustrates the philosophy of Scrum and agile project management. What’s more, it explains the changes that have to take place in the mind-sets of employees and managers before an agile project management environment will work. The IAPM offers Certified Agile Project Manager (IAPM) and Certified Senior Agile Project Manager (IAPM) certifications. It is committed to propagating the use of agile project management and encouraging organisations to introduce agile project management methods. This book is the opposite of a complex textbook that readers might steer clear of out of respect, so it can make a valuable contribution to this process. On the basis of the above, the IAPM has decided that the book thoroughly deserves the “Book of the Year” title. We hope that the authors will continue to enjoy agile project management and to inspire the project management community with their interesting insights in future.